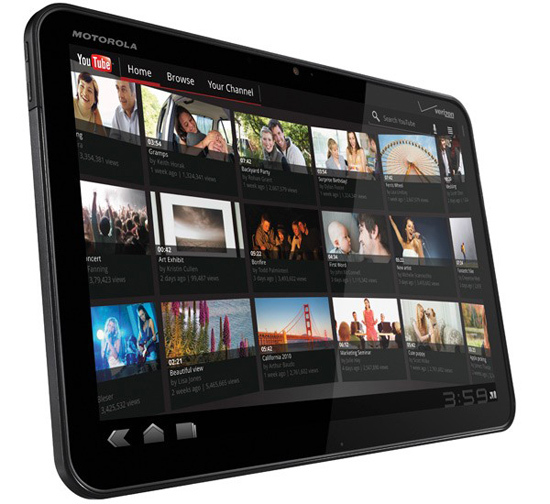 Motorola Xoom Gets Hacked In Under An Hour after Release ! Despite just being released on February 24th, the Motorola Xoom has become the newest victim of developer rooting, and it took less than two hours to do it. Xeriouxly. The best part? The Clockwork Recovery running on it means that other developers can now create their own custom ROMs to hack whatever they want onto the tablet. The root was done by coder "Koushi", pretty much as soon as he got his copy of the device home. In a blog post, he explained how he managed to get the custom root running so quickly. He got Clockwork Recovery running by building up a recovery (which he will not release yet due to the SD slot being non-functional at the moment) via AOSP's kernel and then using a ROM manager to get Superuser on the Xoom. He has a short instructional on how to do the same with your own Xoom, but you will need a bootloader and adb on your computer already.